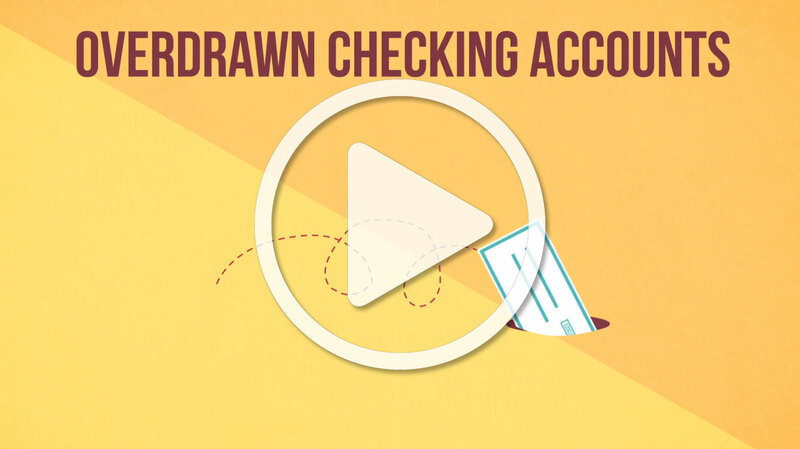 If you’ve ever overdrawn your checking account – you know, ‘bounced a check’ – you’re aware it can be a costly hassle. That’s why it’s important to always keep track of how much you spend, whether it’s shopping with your debit card, using an ATM, or writing checks. An overdrawn account happens when you spend more money than you have, which can result in potentially costly overdraft or transaction fees. Always keep track of your spending. With online and mobile banking, you can regularly check your account balance and transfer funds as needed. You can also set up mobile and email alerts to let you know when your balance falls below a certain level. When that happens, you’ll know it’s either time to stop spending or to put more money in your account. Keep a register of your spending. Track all payments with either a spreadsheet or on paper. That includes checks, debit card use, ATM withdrawals, any automatic payments you have set up, and any fees – such as monthly account charges. Balance your expenses with how much money is in your account. Use direct deposit. Having your paycheck deposited directly into your account helps ensure that you know exactly when money will be available, rather than having to remember to go to a branch to deposit a paper check. Keep a ‘hidden’ cushion. Some experts recommend that you keep an extra $100 or more in your account with no intent of spending it. That way, if you happen slip up, that cushion might save you from an overdraft. Stop by any of our branches to speak with us about the best ways to track your spending and about other options to protect yourself and save money.